Mooloolaba seduces thousands of holiday makers each year with a burgeoning dining scene, bustling promenade, pristine beaches, and friendly, laid-back culture that is utterly addictive. One of the best parts of a Mooloolaba holiday is that once you’ve parked your car (or arrived at your accommodation) you won’t need it again! This compact slice of Sunshine Coast paradise has everything you need and more, all within walking distance. 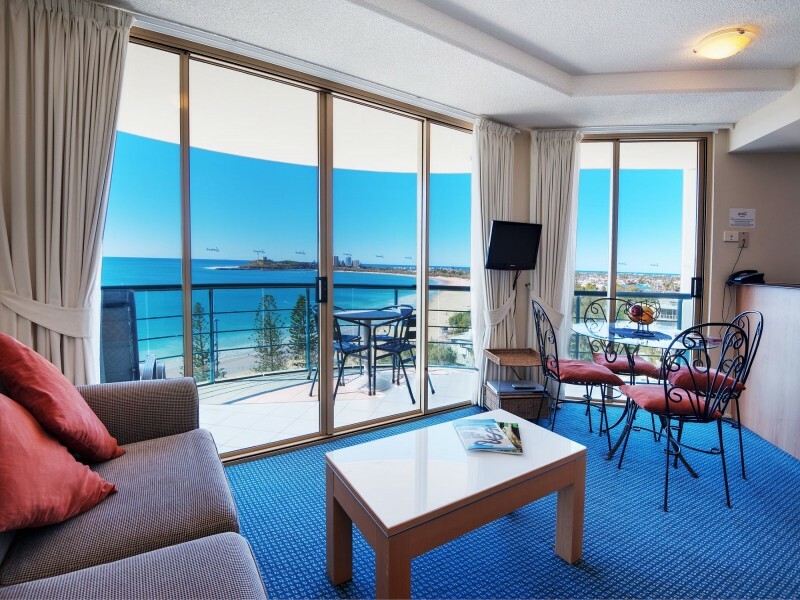 Set atop the Mooloolaba esplanade, the Landmark Resort is the perfect base for your next Sunshine Coast getaway. 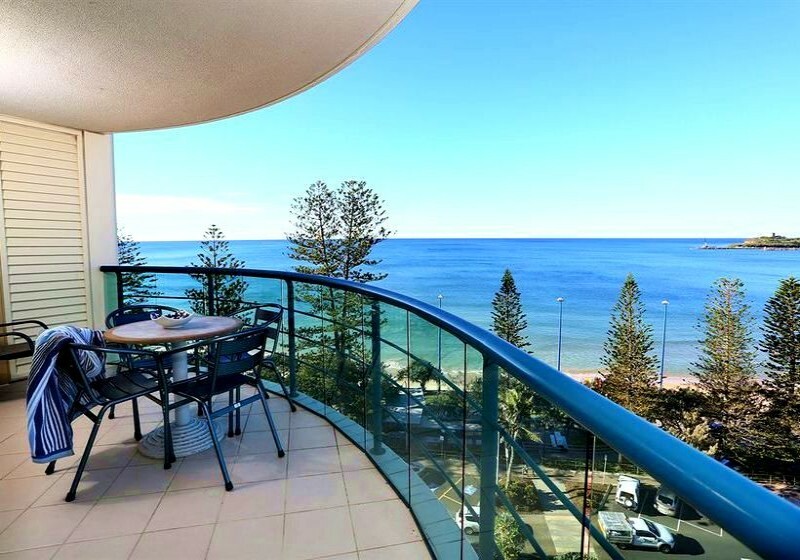 To one side of the road are aqua blue waves lapping the white sand of Mooloolaba Beach (aka Brendans’ Beach), while the resort side of the street boasts a glamourous strip of restaurants, shops, cafes and the surf club all of which start at your front door! The 4 star Landmark Resort is comprised of over 130 air conditioned, self-contained studio, 1, 2, and 3 bedroom apartments that offer hinterland, ocean, river, or pool views in a spectacular location. 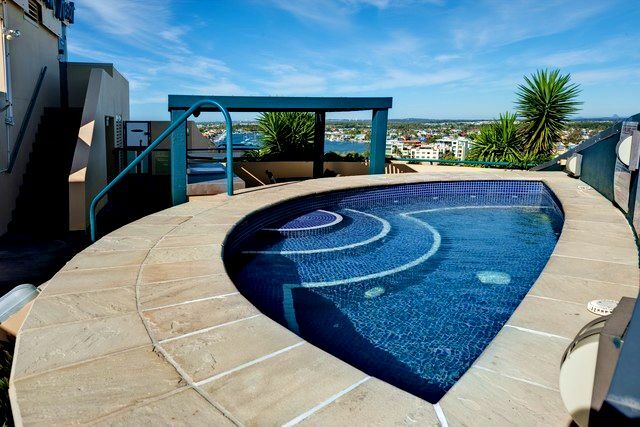 Coastal tones are featured throughout the apartments, fitting the vibe of Mooloolaba perfectly. The rooms are clean and tidy, have either kitchens or kitchenettes, living rooms and balconies to appreciate the great views. 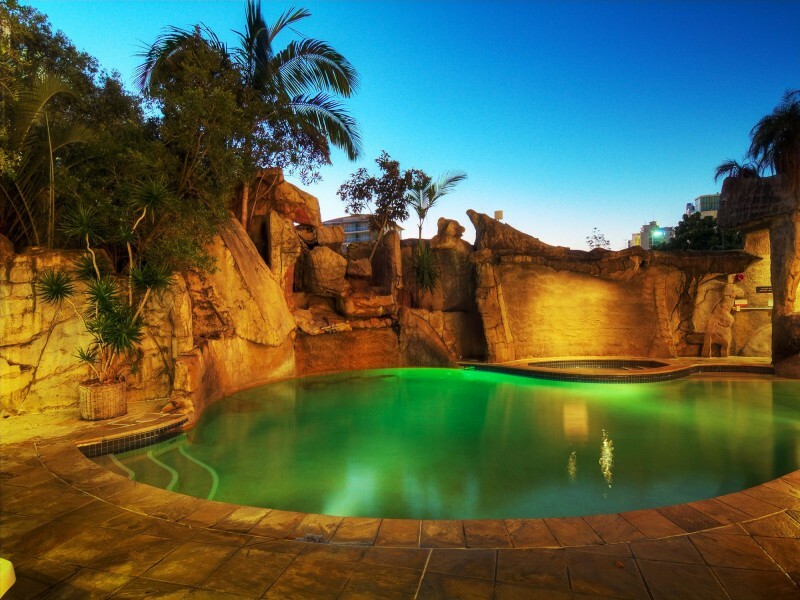 The Landmark Resort features a heated tropical lagoon pool area, poolside spa, barbeque and entertaining area, roof top spa, sauna, and even a fitness centre. The pool is a beautiful spot for a dip when you’ve had enough of the beach, and the BBQ area is a great place for an evening cook up, as it’s well-kept and spacious. If your idea of a holiday also includes pampering or a makeover you’re in luck! For all your hair, nail, and makeup needs you can see Linda at Executive Hair. Show your Landmark Resort room key to get 10% all services! 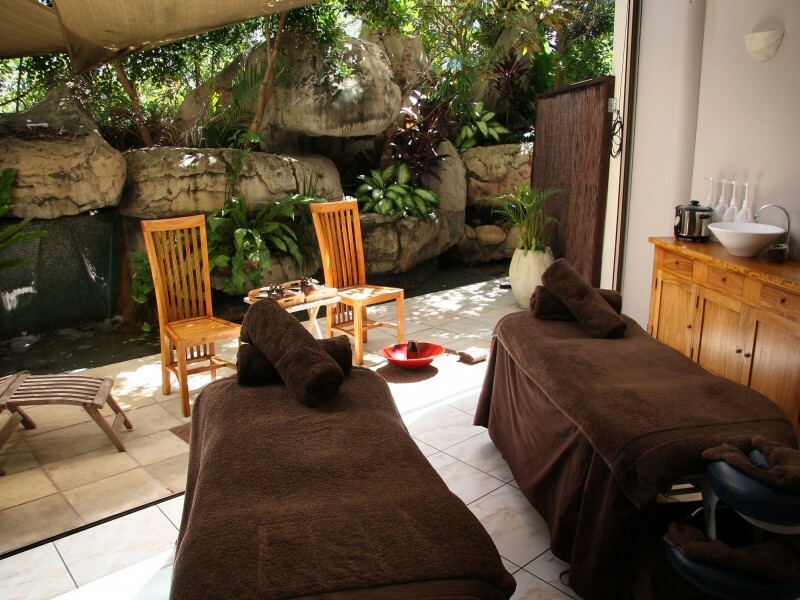 Waterfall Day Spa, also located in the resort boasts a range of treatments designed to bring you back into balance from massages, facials, vichy shower treatments and more. 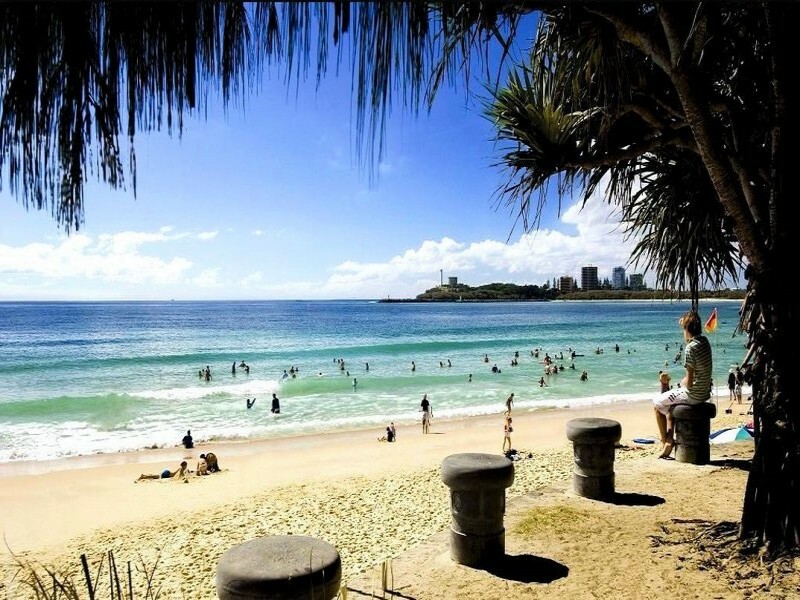 Mooloolaba is home to a burgeoning dining scene with great cafes, restaurants, bakeries, hipster nooks and more along the esplanade and greater region; you are truly spoilt for choice. 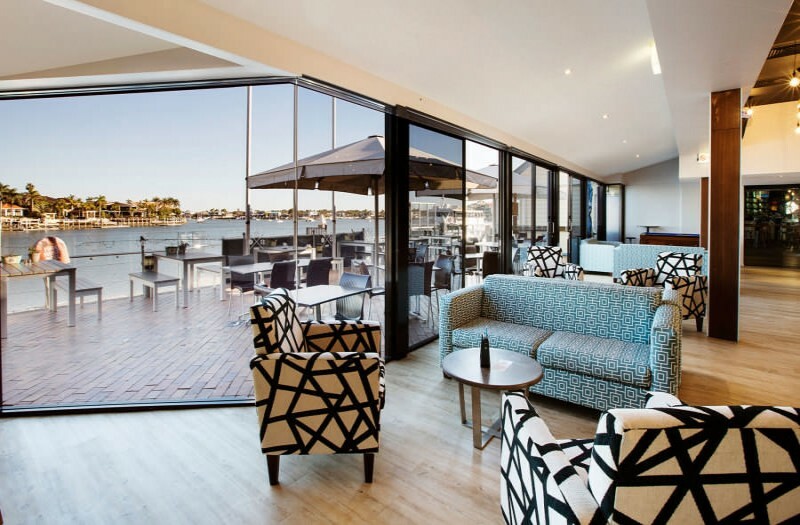 For a beachside experience look no further than the Boathouse restaurant in the Surf Club Mooloolaba. This traditional surf club offers up all your favourites including chicken parma to surf n turf, a great wine list and awesome menu for the kids plus free activity bag and ice cream as well as kids entertainment area complete with PlayStations and cartoons! For a delightful dining experience you don’t have to leave the resort for, Hot Pipis specialise in gluten-free dishes, cater to paleo diets, and boast some of the freshest seafood in Mooloolaba, delivered straight off the trawler! The Wharf Mooloolaba is just 700 metres around the corner from Landmark Resort offering up a myriad of boutiques and eateries with great views, including family favourite, Hogs Breath boasting kids eat free all day Monday and Tuesday, See Restaurant the only Mooloolaba restaurant that offers over the water dining, and the Wharf Tavern where you can have a pub meal, play the pokies, enjoy a drink into the night or even hit the nightclub! 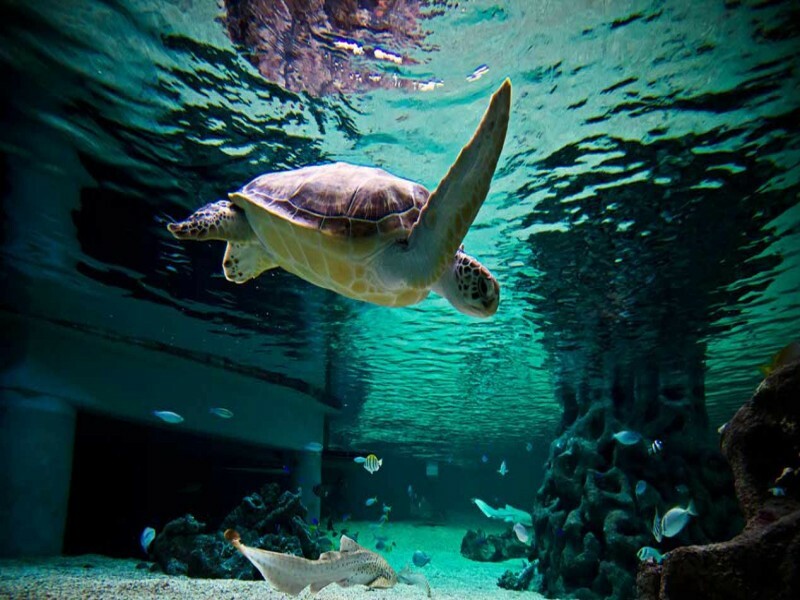 One of the Sunshine Coast’s most popular attractions, Underwater World is just 300 metres from Landmark Resort. This enormous aquarium gives guests the chance to get up close and personal with some of Australia’s most beautiful and dangerous marine life – and not even get a toe wet! Discover Queensland highly recommend Underwater World for families and couples that visit the Sunshine Coast – it’s a fascinating day out! 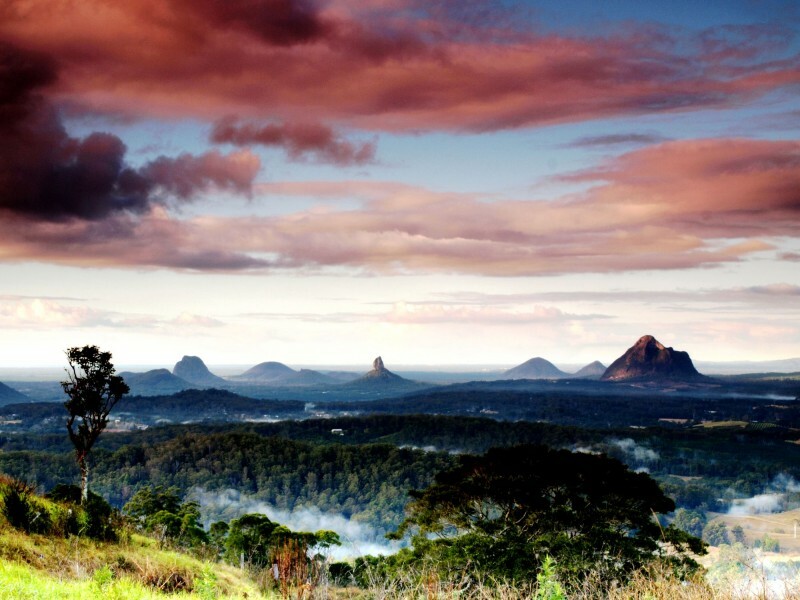 There are also a host of other attractions across the Sunshine Coast including the beautiful hinterland that boasts luscious rainforests, the quaint townships of Monteville and Maleny, Australia Zoo, the Big Kart Track, and Aussie World. There are also a range of amazing local markets including the famous Eumundi Markets, the Twilight Markets, Buderim Sunday Markets, Cotton Tree Street Markets, Cooroy Markets, Maroochydore Sunday Markets and a host of others! 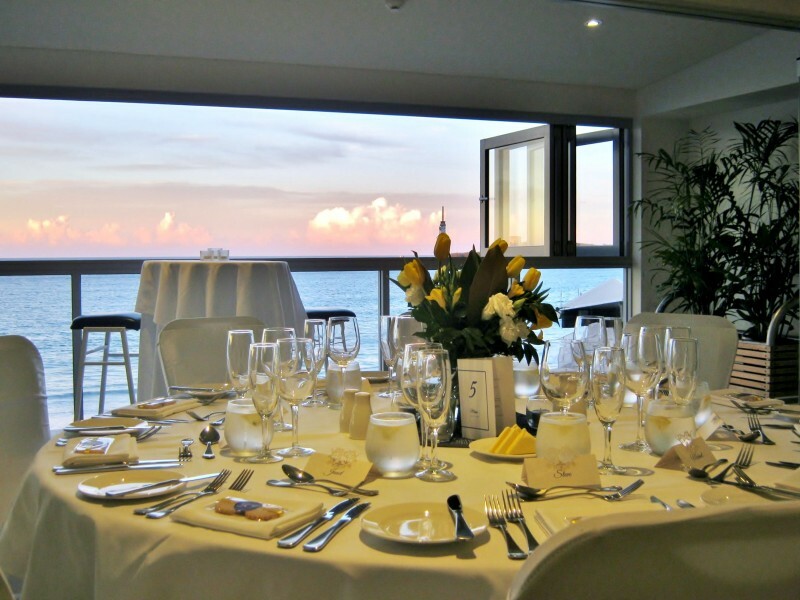 Be sure to speak to the experts at Discover Queensland to organise your next Mooloolaba holiday.